I have written eighteen blogs (this one included) during my time as a writer for musicMagpie. Through them I have introduced you to countless forms of cinema from mainstream to the more outer limits (e.g. arthouse and experimental) and in a range of different languages. And it’s the latter I wish to talk about in this one, as we count down five of the best films beyond the borders of the English speaking world. We’ll be traversing the globe, selecting the best films from each continent, so put your tray tables in the upright position and prepare for take-off. First of all, let’s kick this list off with a film from the French New Wave, Breathless by Jean-Luc Godard. The story of the feature is that of a petty thief who impulsively murders a policeman and attempts to evade the authorities to Italy along with a young American journalism student. They say film critics can’t be filmmakers, but the members of the French New Wave (Godard, Truffaut and Rivette to name but a few) have sure proven that statement redundant (not that it was much of a solid point in the first place). This film owes a lot to the works of 50s filmmaker Jean-Pierre Melville (Rififi, Bob le Flambeur) in that it pays homage to the Warner Bros gangster movies of the 30s, with numerous references to the Hollywood auteurs that members of the French New Wave frequently championed (in particular the original Scarface by Howard Hawks, especially in the ending of Breathless). In fact, towards the end of the sixties, filmmakers involved in the New Hollywood movement (in particular former critic turned director Peter Bogdanovich) began relying on the techniques introduced by the French New Wave (Bonnie and Clyde is one such example – this and Breathless would make for quite a double bill). This is a film that seems almost made for cinephiles, featuring all kinds of experimental uses of the medium and featuring all kinds of Easter eggs only a film fan can spot. One of few films responsible for the creation of the Academy Award for Best Foreign Language Film (the others being the same director’s Shoeshine and features from both France and Japan, one of which we will get to in a bit), Bicycle Thieves is one of the standouts of the Italian Neorealist movement of the mid-20th Century. The story focuses on an unemployed man and his son who set out on a voyage (both physically and mentally) across Rome in search of his stolen bicycle. Featuring the use of deep focus cinematography (following the likes of Jean Renoir, cinematographer Gregg Toland and Orson Welles), non-professional actors and believable plot threads, this film stands as something unique among other features at the time. In fact, Tim Robbins proposed a remake of the film in Robert Altman’s The Player in which it would be Hollywood-ised (happy ending and all), but thank god that exists in the world of fiction. Right? *Looks nervously at computer monitor* Bonus points if you can spot future Spaghetti Western helmsman (then an unknown actor) Sergio Leone in one scene. I said we would get to one of the Japanese features responsible for the creation of the Foreign Language Film Oscar (back then just a special award), and here it is. The film that put Akira Kurosawa’s name on the map and brought Japanese cinema in general to the attention of the outside world, it tells the story of a crime and its aftermath, told from three different perspectives. Everyone has paid homage to Kurosawa in one form or another, from George Lucas and Steven Spielberg to animator Gennady Tartakovsky (there’s no surprise that traces of Kurosawa can be found all over Samurai Jack), and with Rashomon, it’s not hard to see why. Firstly, this film contains all the hallmarks you would expect from a Kurosawa picture. From a period setting in feudal Japan and samurai to haunting ghost-like cinematography and an appearance from regular Toshiro Mifune (who was even sought after to play the roles of Obi-Wan Kenobi and Darth Vader during the making of the original Star Wars), this set in motion what Kurosawa is most known for. But that’s not to say that’s all Kurosawa is associated with. While you’re at it, also check out his contributions to the gangster film genre with Drunken Angel and High and Low and discover how we gave Kurosawa the story material for his movies and how he gave us his in return. Yes, it was only a matter of time before Ingmar Bergman found his way onto the list. No foreign language film would be complete without at least one Bergman feature adorning it, so for the plain introductory basis of this list, I had to pick his most obvious one. The film follows a knight and his encounters with Death (this feature is where the iconic grim reaper design became popular) through a plague infested country. This is the film where Bergman began to get into his own, through deep philosophies on mankind (see the game of chess) and haunting religious imagery and cinematography. It also has the added bonus of being a very unflinching look at the period in history where religious fundamentalism was at its height during an oncoming disaster (see the flagellation scene). But on a more light-hearted note, you could also watch this together with Monty Python and the Holy Grail (there are traces of Bergman parody there – especially the plague-infested England) and Woody Allen’s comedic send-up of Bergman Love and Death (including a parody of the character of Death itself). Now you may think I may have included Guillermo del Toro’s most acclaimed feature of his career in celebration of the massive praise being heaped upon The Shape of Water, well that’s one of the reasons but follow along and you may find rich reward. A young girl is sent away to live with her pregnant mother and sadistic military captain stepfather during the uprising of the Spanish Marquis, where she comes across a fantasy world and is put through numerous trials across the two worlds. Now don’t be fooled by the fact that it comes across as a fairy tale because, in case the ‘15’ certificate on the DVD case hasn’t already told you, Disney this is not. 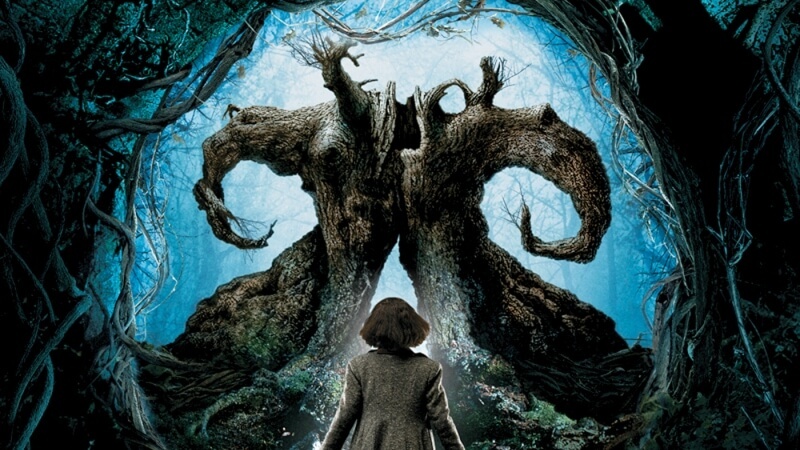 What we get is Guillermo del Toro dissecting the notion of fairy tale and blurring the lines between what is real and fantasy, as if the main character is merely using this world as a means of escape from the conflict around her. The film’s quasi-fantasy setting also allows del Toro to do what he does best, come up with the most creative creature designs you will ever see (as he’s done in the likes of Cronos, Blade II and the Hellboy movies). The stand-outs in this department would have to be the faun Pan and the hand-eyed, bloodthirsty Pale Man (both played by del Toro regular Doug Jones). Interestingly, this film (like so many others recommended in the past) also makes a good double feature with another del Toro directed Spanish Civil War genre film (this one being a horror) The Devil’s Backbone, so get purchasing and enjoy. You can find all of the films in this post, as well as thousands more fantastic films from across the globe, on the musicMagpie Store at incredible prices. Shop our World Cinema range today, pick up a few classic movies and get FREE delivery with every order. Why wouldn’t you?